It’s time to head down to the beach and to join the party with some of the most endearing and lively characters you’ll ever meet, in Spinions slot. The Spinions love a good party so get ready to have fun aplenty at this great summer party. Try Quickspin’s online slot game Spinions for free and when you are ready to play for real money, sign up for one of our exclusive casino bonuses available only at QuickSpin Casinos. One of the most exhilarating slot games by casino game operator Quickspin, Spinions is reminiscent of the popular Minions in the movie Despicable Me. 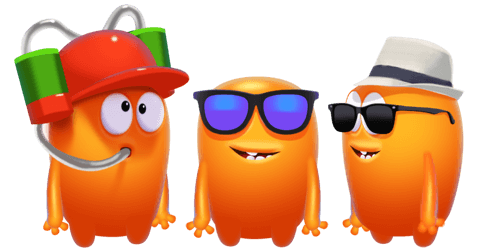 These quirky yet adorable characters, want you to join them at their great summer party to have a good time and most importantly, in great company. This vibrant yet aesthetically-pleasing slot game has some superb animations, that will have you pining for a holiday away on a tropical beach. Maybe they’ll also inspire you to finally book some much-needed time off work. Payout percentage: The theoretic payout percentage of Spinions is 96.06%. Spread over five reels and with 25 paylines, this game is a great looking slot that offers a lot more than a bonus round. There are enough big wins here to please any type of casino gamer. In fact, we’ll go as far as to say that Quickspin has struck the ideal balance to become a staple favourite among most players. In this game, there are two types of wilds that lift your bankroll’s morale. There is the regular wild that substitutes for other symbols in the aim of creating a winning combination but then, there is also the Spinions Sticky Wild Respin feature which is triggered when two or more Spinion wilds land on the reels. When this happens, wilds stay sticky and triggers respins as new wilds pop up on the reels. A lot of Quickspin slots have a focus on wilds and different wild functions. Read all our slot reviews to try out different types of wilds! Land three Bonus Club symbols anywhere on reels 1, 3 and 6 simultaneously and you are rewarded with 10 striking free spins. What makes this free spins round extra special, is the fact that all Spinion wilds become sticky for the duration of the round. Although free spins cannot be re-triggered, sticky wilds still boost your wins twofold. This means that if you land several wilds on the reels, the potential to win is impressive. If the bonus symbols keep popping up on the reels, wins can be as high as 285x your initial bet, which isn’t a miniscule amount by any standards. If you’re truly lucky, the maximum possible win can be triggered if you succeed in filling the reels entirely with wild symbols. Then you can expect a massive 1,876x your initial bet. The minimum betting amount on this game is €0.10 while the maximum betting amount is €100 per spin. The maximum win you can achieve on this video slot is worth 1,876x your total stake. Don’t let the grey and wintry skies dampen your mood. 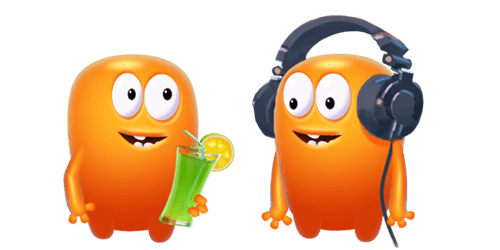 Take your mobile phone or tablet and join the great Spinions Summer beach party. You’re no longer confined to playing on your desktop computer solely.